There’s something amazing about really good taxidermy. I’ll bet that’s something you don’t hear everyday! But something magical happens for me each time I sit in my man cave and let my mind wander back to the hunts of yesterday, reliving each moment of many specific hunts and then piecing them all together to reflect on the success that came out of those days. 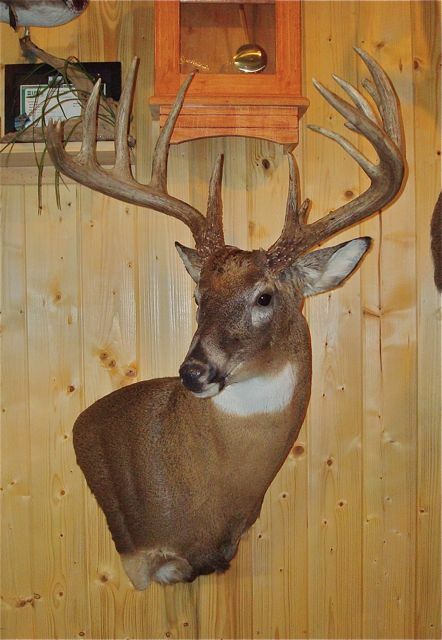 This week I was able to pick up both of my 2010 whitetails from my big game taxidermist, Eric Gardner. He did a fantastic job. My Illinois deer couldn’t look better and I’m pleased I decided to go with a wall pedestal for the mount. The second I saw the deer on Eric’s wall ready for pick up, I couldn’t help but be taken back to the moments before the shot. The thrill of seeing the deer movement out of the corner of my eye … deciding to capture him on video … praying he would give me a quality shot … watching him for what seemed like hours rub on small saplings … and the climactic moment of the shot … all the way to the recovery and the great times in camp with great friends. It’s crazy to me how all those memories can light up a soul in less time than it takes to write them for this blog. I’m off today to showcase the Illinois deer on behalf of Riverview Outfitters at the Dixie Deer Classic in Raleigh, N.C. I’m looking forward to it primarily for the opportunity to catch up with both Tyler and Josh. With very little voice after a bout with a cold this week, I’m expecting to go hoarse reliving many of the moments of the hunt this weekend with fellow outdoorsmen. Stop by if you’re headed that way. We’ll be at 1-K06. I’ll probably be smiling next to the big guy pictured in this post! 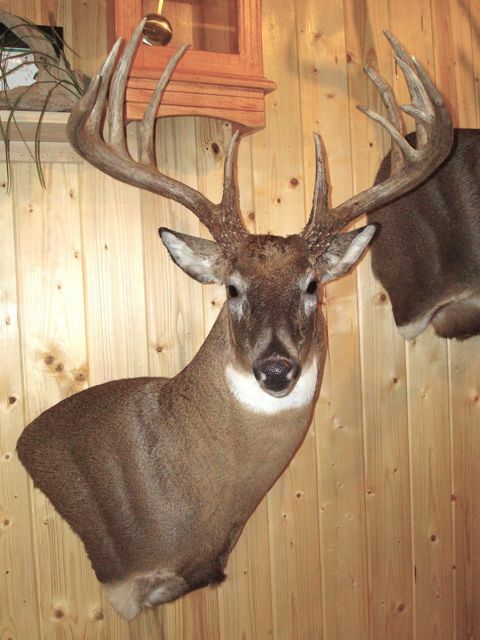 This entry was posted on Friday, March 4th, 2011 at 9:31 am	and tagged with Archery Hunting, Culbert Buck, Dixie Deer Classic, Riverview Outfitters, Whitetails and posted in 2011, General Tales. You can follow any responses to this entry through the RSS 2.0 feed. It’s your “moment in the sun” – enjoy it! Are you borrowing Sara’s car-seat to transport him up to the Dixie Classic? I enjoy your blog. You are a good writer. Way to go buddy…mount looks great. I just noticed your pic in the last issue of the NY Outdoor News. Did you see it? I can send a copy if not. Congrats again on a buck of lifetime. I did see that, Jeff! They forgot to put that it wasn’t a NY deer, but the picture looks good. I hope you’re doing really well.